Cologne – The Rhein Chemie Additives (ADD) business unit of Cologne-based specialty chemicals company LANXESS is showcasing practical applications of Rhenowave inline process control at K 2016. ADD has already successfully launched Rhenowave internally in an industrial environment at two LANXESS sites for bladder production. In addition, various manufacturers are examining the possible use of Rhenowave. 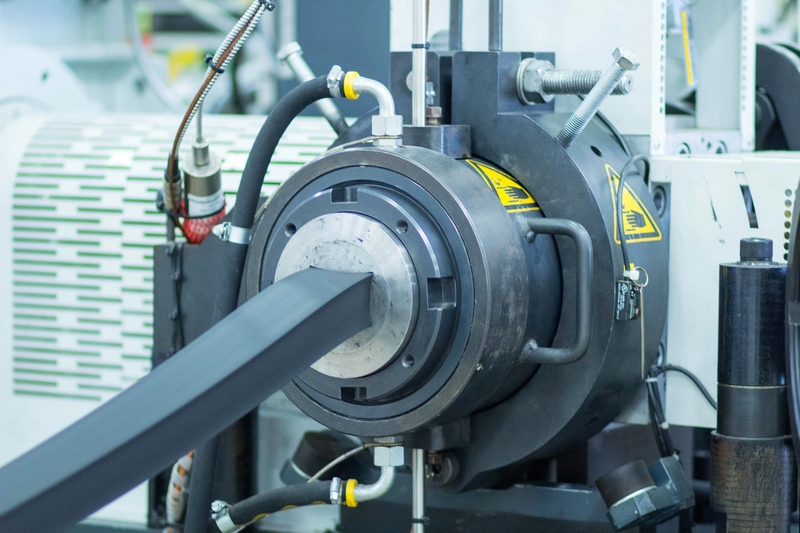 Rhenowave has been developed for manufacturers of tires, profiles, technical rubber goods and rubber compounds to enable them to reliably monitor, for example, the dispersion quality of rubber compounds during extrusion. “Thanks to Rhenowave, we offer rubber processors the chance to achieve a completely new level of quality in the extrusion process,” says Philipp Junge, head of the Rubber Additives business line in LANXESS’s ADD business unit. “The analysis data are collected continuously inline, i.e. during production, and provide information on quality for the entire production volume, not just for certain test pieces. This is what lies behind the appeal of Rhenowave and boosts cost-effectiveness,” explains Junge. Rhenowave is installed on the head of the existing extruder. Measurement is performed volumetrically, non-destructively and representatively. This irons out weaknesses of the conventional test procedure, where a sample is taken and later analyzed in a laboratory. With Rhenowave, the compound quality is evaluated in less than a second once the compound has left the extruder (inline control). Up to 100 percent of the compound can be analyzed in this way. Areas where compound quality is insufficient can be recognized quickly rather than later in the finished product. “This enables any necessary corrections to be made to the process without any substantial delay, ensuring high quality, minimizing reject rates and cutting production costs. We aim to adjust the Rhenowave apparatus to be manufactured to customer requirements,” says Junge. LANXESS goes one step further by combining Rhenowave, Rhenogran AP and a mixing unit that allows integrated continuous mixing (iCOM). Rhenogran AP contains polymer-bound rubber chemicals with a marker, so that the dispersion quality of fillers and crosslinking chemicals can both be determined. LANXESS has already successfully installed this process in its own plants for the production of bladder compounds in Porto Feliz, Brazil, and Little Rock (AR), United States. A homogeneous rubber compound of various masterbatches can thus be compounded, extruded and analyzed in a single step. This solution is beneficial, for example, if production is intended to take place at separate sites while the compound ingredients are supplied externally. The benefits are clear – the rubber compound formulation know-how can remain at a location that is independent of production. Local producers can manufacture high-quality products where they are needed. “We have every confidence in the reliability of this new technology and are thus keen to use it in the future to ensure the quality of our own compounds while making production even more cost-effective,” says Junge.